Known for their irons and wedges, Mizuno has quietly been a company that has done quite a bit with moveable weight technology when it comes to drivers. Dating back to 2007 with the introduction of the MP-600 driver, Mizuno has offered various drivers that incorporate the ability to fine tune a driver with movable weights. In 2015, they introduced a FastTrack adjustable weight system that provided a chance for golfers to move weight from the back to front of the driver sole, giving the ability to adjust their spin and launch angle, while also allowing for the weight to be pushed to the heel or toe to alter the ball flight from left to right. For 2016 Mizuno takes a more simplified approach to help golfers find their preferred configuration with the introduction of the JPX EZ driver. 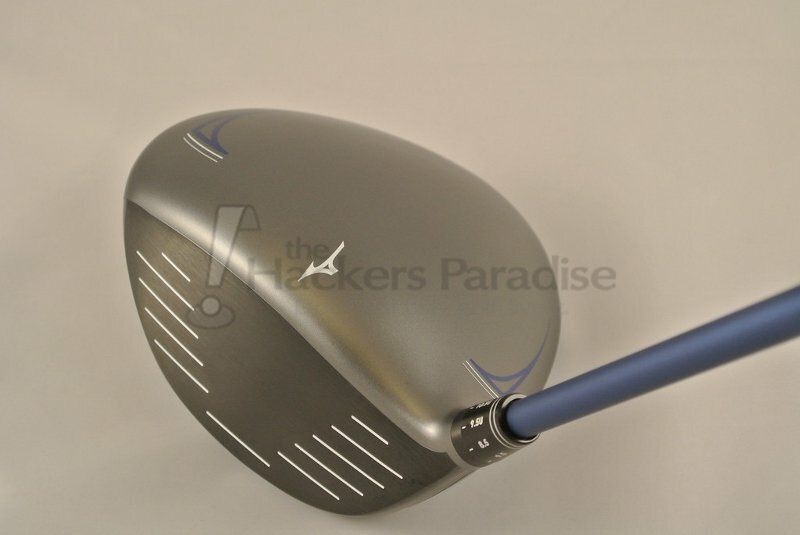 The JPX EZ is a large footprint, high launching, low spinning driver that is also adjustable. Typically with drivers that have moveable weights, forgiveness is sacrificed. The JPX EZ driver changes everything. With a simple 3 weight system, the JPX EZ Driver now allows you to dial in your launch trajectory, while maintaining its design for maximum forgiveness. •Fast Track: Using a ten gram weight in one of three weight ports (draw, neutral or fade), the JPX EZ offers changes you can instantly notice to dial in ball flight. •Massive MOI design: Optimized internal head for weight distribution low and deep in the head to deliver extreme forgiveness and high easy ball flight. •QUICK SWITCH adjustability: 8 loft settings to dial in launch angle (8.5 – 12.5). •Rebound Crown: The engineered crown area eliminates the stiffer area around the clubface, allowing more flex for greater balls speeds and distance. In a stark contrast to last year’s shiny-blue crown, Mizuno has decided to go with a matte-grey finish that is quite pleasing to the eye. For anyone worrying about the reflection of the sun while out on the course, those worries can be put to rest as the JPX EZ does a really good job of washing out any type of glare that one might encounter while playing in sunny conditions. The crown also sports a rather large Mizuno logo as the alignment aide, as well as blue streaks on the heel and toe perimeter. While crown graphics are a topic that gets discussed quite a bit these days, the blue overlay on the matte-grey finish offers up a nice looking combination. The sole of the club is where the visible technology comes in to the spotlight. The sole is mostly black with blue and white lettering. Looking past the wording on the sole, the eyes draw to the three different weight ports. The ports are located on the heel (draw), toe (face), and back (neutral) of the driver sole. A ten-gram weight can be placed in one of the ports to help tweak the ball flight. With the JPX EZ, Mizuno packages a high MOI driver with one that offers multiple ways to help a golfer find the perfect ball flight. As is the case with many drivers on the market these days, the quickest way to alter the ball flight is by adjusting the loft. By utilizing Quick Switch technology, golfers can alter the loft of this driver from 8.5 to 12.5 degrees, while also having some loft options with a more upright lie angle. Keep in mind that when adjusting the loft on the JPZ-EZ, the face angle will also be altered. Below is a chart that shows what the face angle will be with its corresponding loft. Billed as a low spin driver, launch monitor testing has shown that while it could be considered low, it is not nearly as low as some other options. 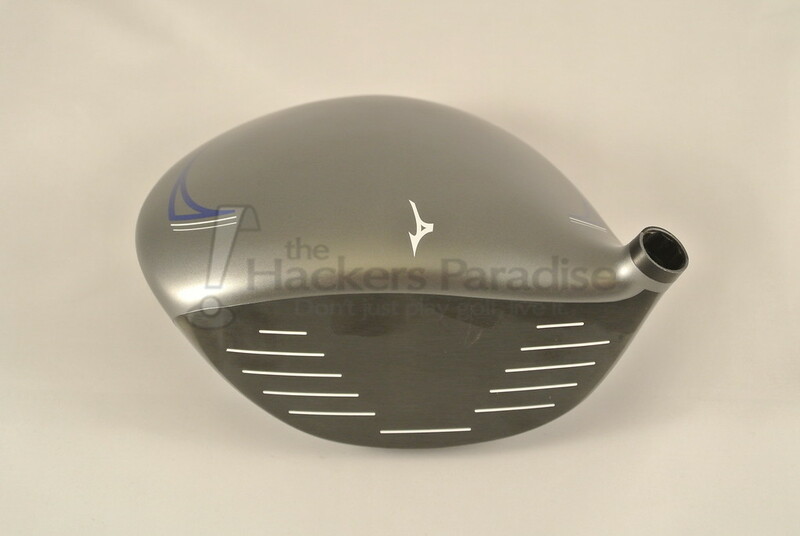 That is not to say that this driver head is one that is high spin, it’s far from that. After comparing numbers to other various low spin driver heads, it’s safe to say that this offering is on the higher side of the low spin totem pole. What Mizuno has done is add a slightly higher spinner alternative to last year’s MP-850 driver, which helps them reach a wider variety of golfer demographics. As previously mentioned, Fast Track technology allows for a 10-gram weight to be placed in either the heel, toe, or in the neutral setting at the rear of the sole. Moving the weight to the back of the club did show a slight uptick in spin and launch. By pushing that extra 10 grams to the far back of the driver head, golfers can also expect to find an incremental increase in forgiveness across the driver face. Moving the weight to the heel or toe port gave a different sensation when making contact with the ball, and proved to alter the ball flight enough to help consumers find their preferred shot shape. Once finding the perfect combination between loft and weight adjustment the JPX EZ driver produced some really strong results on the course. Distances were often very consistent and could be considered quite long. Even though the yardages might not be considered the longest driver on the market, the area in which this driver shined was in forgiveness. Misses both horizontally and laterally produced results that still provided plenty of carry distance along with keeping the ball from straying too far offline. Ball speed retention is a topic that has been very big in the golf industry as of late, and this driver does have that, proving that it should be a good option to consider for those who tend to miss in different areas of the club face. Audibly is where this driver became hit or miss for golfers. The tone that it gives off is a little on the louder side, though not over powering, with a hint of a metallic tone. After having numerous players take swings with this club, the sound became somewhat of a love it or leave it topic. 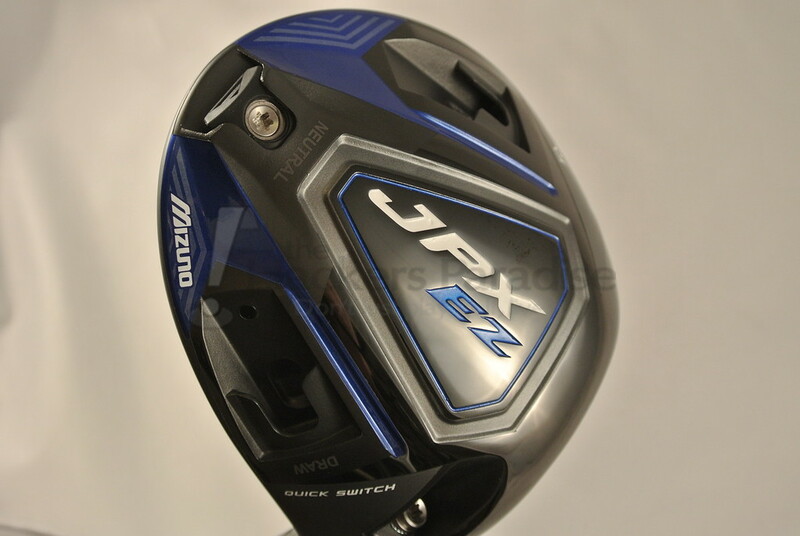 Even with sound on the louder side, the JPX EZ did not produce a feel that felt overly powerful, instead giving off more of a dead feel at impact. Consumers who tend to gravitate towards that type of feeling from a driver, might feel right at home with this offering. Finally, a note on the shaft chosen for Mizuno’s latest driver. 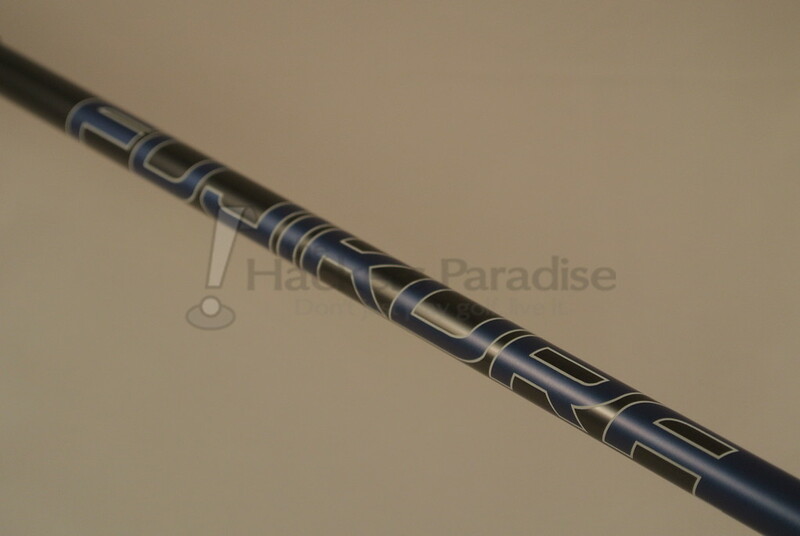 Choosing a stock shaft for a driver these days seems to be so much about the combination of complimentary looks to the driver head, as well as suiting the best performance that can work for the masses. Up for this task is the Fujiukura SIX XLR8. The XLR8 is going to offer players a mid launch, mid spin experience, with a weight that comes in just a tic under 60 grams. The model that was tested for this review came in stiff flex, and was tested with golfers who mostly had swing speeds above 95 MPH. For those concerned, holding the club in hand and giving it a waggle, the shaft did not seem to have any extra whip to it, which after swinging would be expected from the very stable feel it provides. Aesthetically, this choice is a home run as it pairs perfectly with the matte-grey finish of the crown. 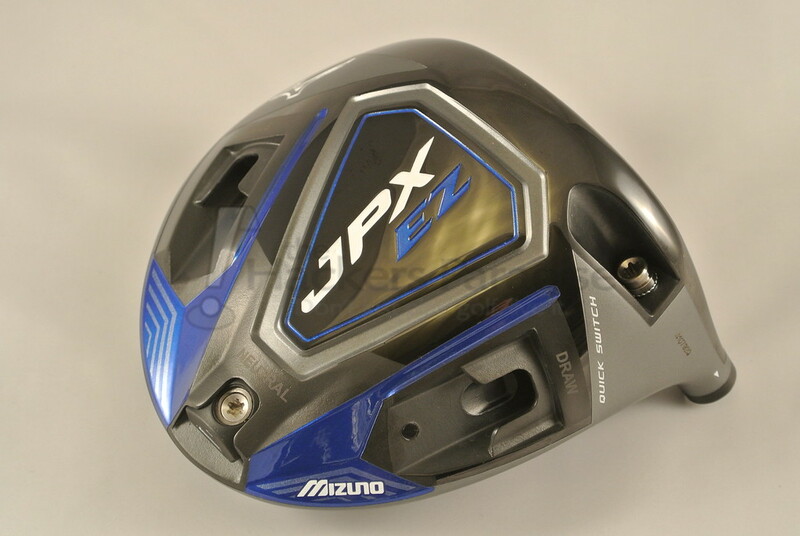 The JPX EZ Driver provides a really good compliment to the Mizuno’s driver lineup in 2016. In conjunction with the low spinning, more demanding MP-850, Mizuno seemingly has an offering that they can confidently fit in to an abundance of the players in the market for a new driver. With the combination of easy adjustments and a high MOI design, the JPX EZ will allow for simple fitting solutions and provide plenty of confidence off of the tee. Those looking to add this to their bag can do so for a price tag of $399. More information on this driver as well as some custom offerings for it can be found at www.mizunousa.com. Nice writeup, Dean. 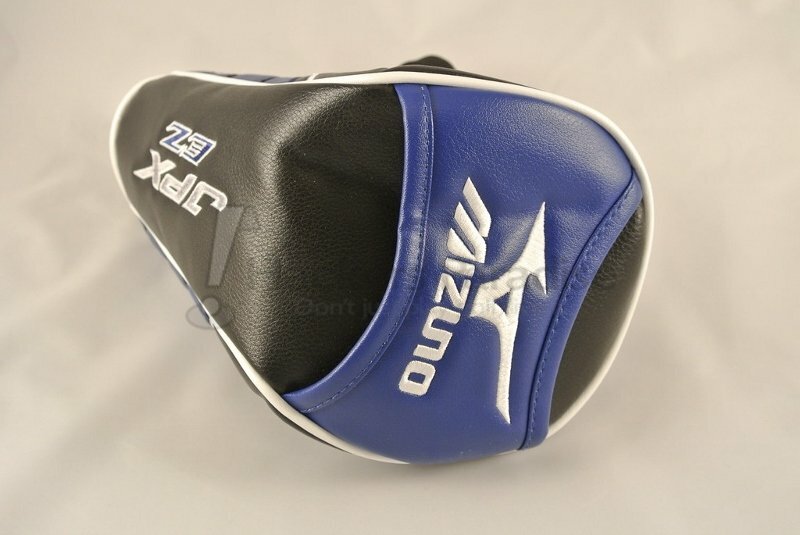 I’ve been a big fan of Mizuno’s iron offerings, but I can say I’ve never tried one of their woods. This one sounds like a solid offering. Mid-spin is great for me, as I launch the ball fairly high with low spin these days, so being able to play a lower loft and get some spin is a good thing. Well done Dean, solid rundown of this one! I’ve never swung a Mizzi club. I really like the gray matte finish on this. Looks nice with the blue accent.